Formed in late 1999 by the bass player of the melodic black metal band Sycronomica, the original idea of Helfahrt's music was to create folkloric music with the usage of instruments like different types of flutes, jewsharps and acoustic guitars with the aim to create melancholic moods as well as the dark and esthetical background of natures spirits. With the use of an electrical guitar, the music became faster and harder. When the first problems with composing new material occurred, Max Marquardt started to search for further musicians to form a proper lineup. Relatively quickly a drummer was found but due to his lack of time and motivation he left the band after just two months. 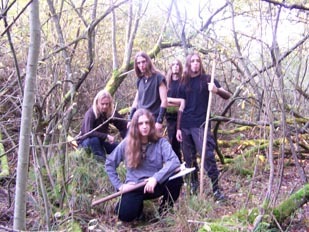 In spring 2004, the position of the second guitar player was filled by Dominik Langner and the first black metal songs were composed. Just a few months later another guitar player as well as a bass player, Sebastian and Tobias Ludwig, initiators of the black metal band Nebelmythen joined the band and introduced new ideas and compositions. With Andreas Mecker (ex-Banner of Wrath) the band could find a very talented and enthusiastic drummer and from this time on a serious line up was formed. Since then, Helfahrt is not a project anymore but a proper band. The music has not changed significantly and the original aim still exists. But by now also themes like the old traditions of southern Bavaria as well as the inheritance of forgotten cultures are to be found in the lyrical backround and the songs of Helfahrt. The first Demo CD entitled Aufbruch has been released in late autumn 2005 and is a cross-section of the compositions of Helfahrt. Recently the band signed a record-deal with the northern German label Northfire Records. 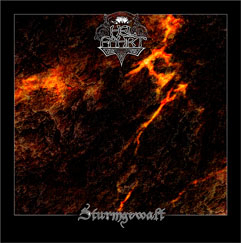 The debut album Sturmgewalt has been released in August 2006. Helfahrt is not intended as a political band!